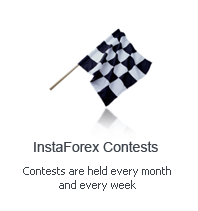 InstaForex company presents a new section - catalogue of Forex-resources, where web-sites, which provide services for traders, are collected. In this section you will be able to view currency market´s analytics as well. Forex is a huge notion which includes not only Brokers´ services but also such services as capital management, engineering of trading experts, providing of trading signals and technical hosting for automatically trading systems. All web-sites listed below passed manual moderation by company´s managers before their distribution on our web-site as an official participant of the catalogue. InstaForex does not guarantee that all resources provide services of high-quality, however the procedure of web-sites´ moderation implicates the high level of resources selection. In this section you can find the list of the most popular trading signals´ resources, authors´ projects and companies, which are catered on providing clients with recommendations regarding opening trading deals on Forex market and other financial fields. This section collects the most popular information resources, internet-portals with financial topics and web-sites devoted to internet trading. Among presented in the section resources you can find different themes connected with finance world, including forex. There is a list of resources providing technical services for traders on-line in the section: VPS (Virtual Privat Server), Windows hosting, technical support of platforms' running. Given resources not only improve comfort and security of trading in the Internet but technically arm traders.